Whether planning ahead or dealing with a foundation problems at hand, Helicon creates a clear plan of action and executes flawlessly to earn your confidence in our team and ground improvement services. Helicon is a licensed ground improvement contractor leading the industry in ground improvement and deep foundation solutions. At Helicon, we are dedicated to understanding and solving our client's ground improvement and deep foundation problems the best way possible. Whether planning ahead or dealing with foundation problems at hand, Helicon creates a clear plan of action and executes flawlessly to earn your confidence in our team and ground improvement services. We are driven by a desire to be the best in the industry. In speed, safety, and quality we don't just meet the standard, we set the standard and exceed our client's expectations every step of the project. We extensively train and invest in our ground improvement teams, equipping them with the state-of-the-art tools and expertise needed to execute a flawless and professional experience. The construction industry in which we operate poses significant health and safety challenges, but we do not accept that people will inevitably be injured. We are dedicated to fostering a healthy and safe work environment. We expect every person who works for us, or with us, to go home healthy and safely at the end of each day with a goal of zero days lost to work accident. Management and employee commitment to this ideology has produced awards and recognition from industry professional societies, as well as our clients. Be honest, trustworthy and compassionate partners. Simplify complex situations and keep clients informed. Prepare ourselves, and our clients, for the future. Be the best in speed, safety, & quality. The construction industry in which we operate poses significant health and safety challenges, but we do not accept that people will inevitably be injured. We are dedicated to fostering a healthy and safe work environment. We expect every person who works for us, or with us, to go home healthy and safely at the end of each day with a goal of zero days lost to work accident Management and employee commitment to this ideology has produced awards and recognition from industry professional societies, as well as our clients. Helicon believes in investing in our team the time and resources to learn from the industry's best about safe work job sites. We take the time to communicate clearly the importance of the impact this has on each other and for our customers. We believe that all injuries and occupational illnesses are preventable as we strive to have no lost time from job site accidents. We are all responsible for preventing and correcting unsafe behavior or work conditions. We have adopted a common set of safety standards that we continuously improve on for our team and celebrate our teams efforts with sharing this information. Management at all levels is responsible for implementing & maintaining the safety standards. When deciding which contractor to use on your next ground improvement project, you need a company who can help with more than just the logistics. You need a team of ground improvement experts who understand both the practical and technical aspects of your project. Our Project Mangers are versed in all geotech constructions solutions, that allow us to help you understand all of your options and what solutions solves your problem at the most competitive cost, timeline and lowest risk or highest quality. We love communicating and educating ourselves and clients on best options to solve building upon weak soils/problematic soils. From day one, we will assign you a dedicated Project Manager to help support you through the entire process. Whether you have questions about installation, timing, or methods, your Project Manager is dedicated to providing you superior service. Interested in joining the Helicon team? Helicon team members believe in giving back to our Tampa Bay region on a charitable level. We are proud to be good neighbors in our area sharing our resources, our time, and our unique expertise to make a difference in the lives of others. Here is how we are doing our part to help our community thrive. 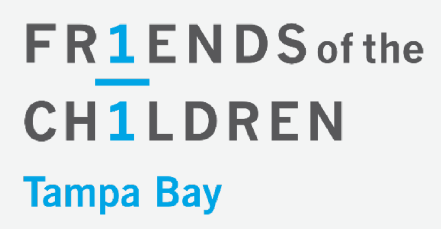 Jay Silver, President of Helicon is the 2019 Board Chair for the Friends of the Children Tampa Bay Chapter. Jay truly believes in this worthy cause and invites you to explore how you too can help local Tampa Bay area children. Friends of the Children helps children facing the highest risks and helps them change their stories. We provided a salaried, professional mentor, called a Friend, for their entire childhood, from kindergarten through graduation. 12.5 years. No matter what. Please visit www.friendstampabay.org to find out more. Helicon stands united with the Hillsborough County Sheriff Department in a showing of community outreach with pizza! To show our appreciation for the local law enforcement of Hillsborough county by bringing pizzas to all 4 Hillsborough County Sheriff Department District Buildings, which included 2,000 uniformed officers and 2,000 support staff.